I truly enjoyed this simple tribal pepper-salt mixture adopted from Beyond The Great Wall cookbook by Jeffrey Alford and Naomi Duguid. I specifically prepared it as condiments for the delectable deep-fried pork dish. 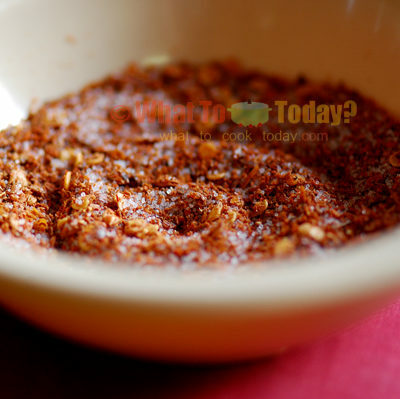 It is a roughly 3 to 1 blend of salt and round toasted Szechuan peppercorns. 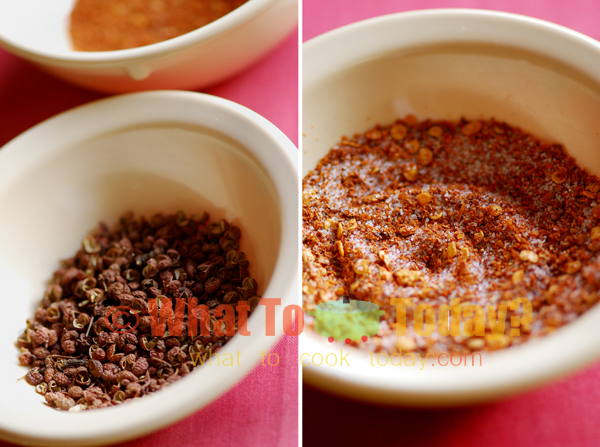 This simple pepper-salt mixture is also quite versatile. 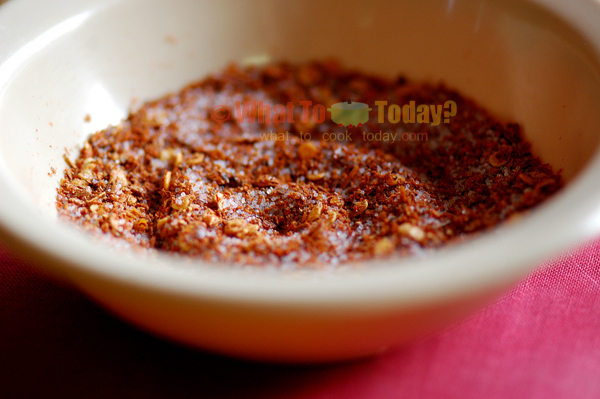 It can be used as a dry rub on meat before roasting and grilling.